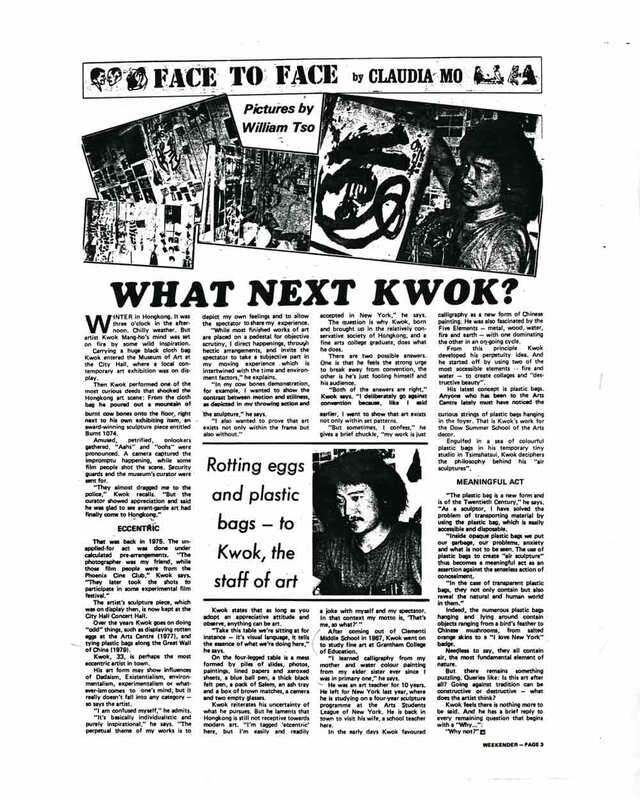 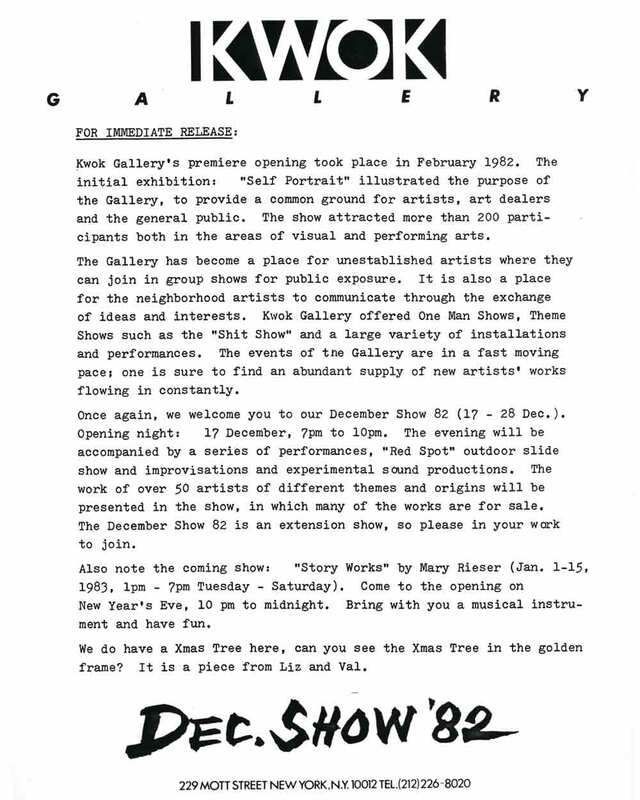 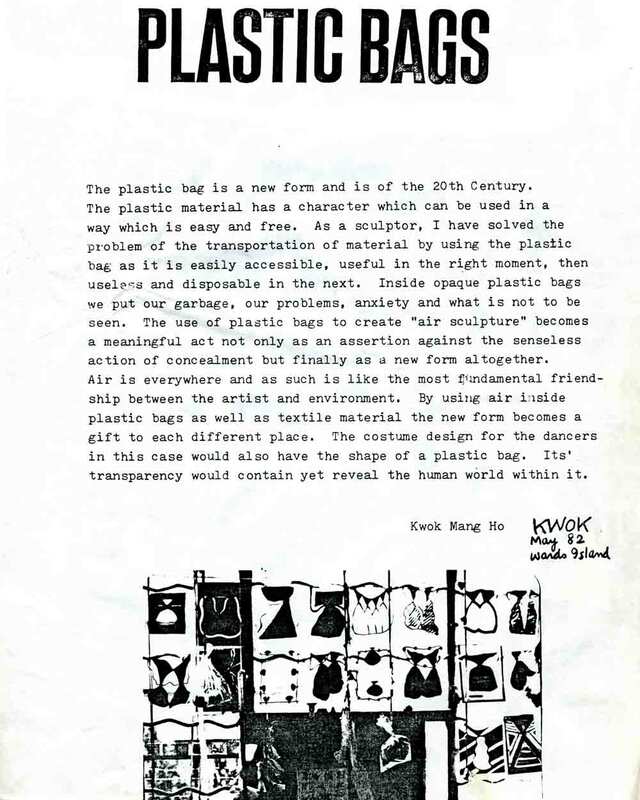 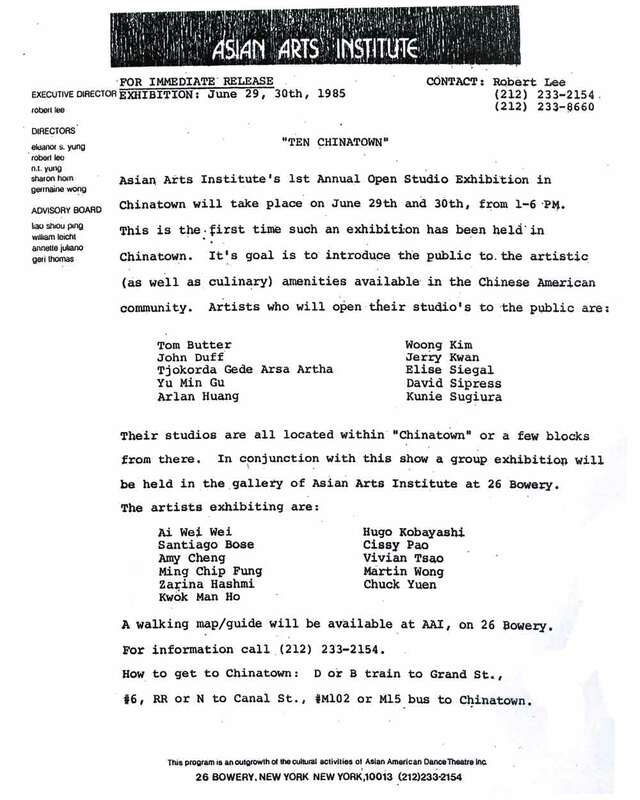 Exhibition press release for "December Show" at Kwok Gallery, New York City, from Dec 17-28, 1982. 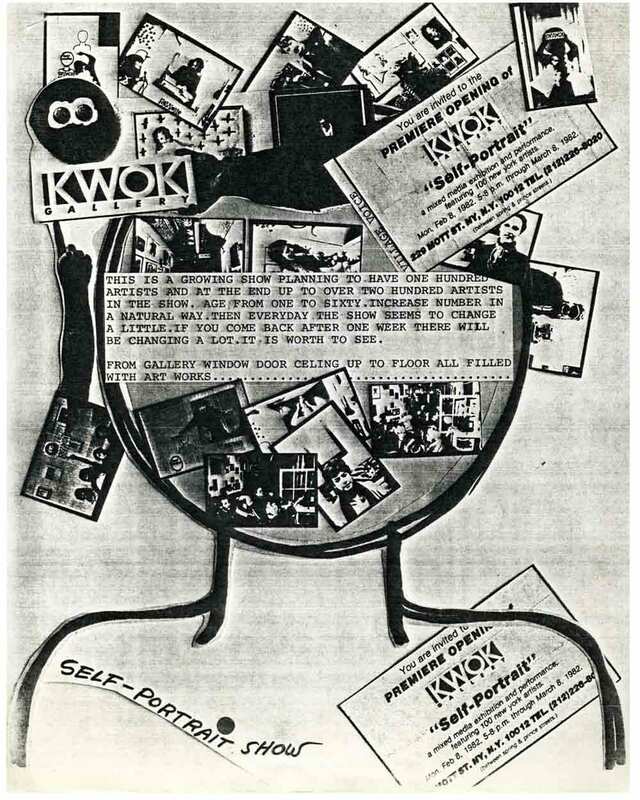 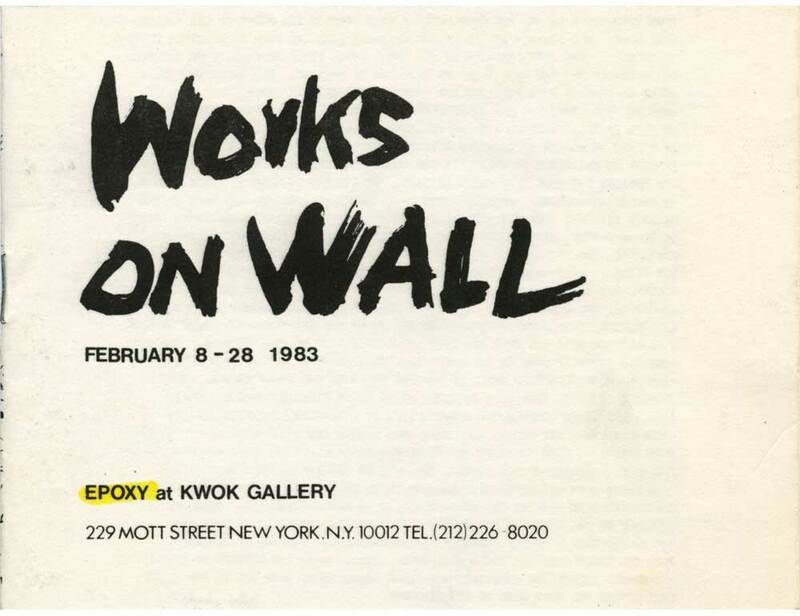 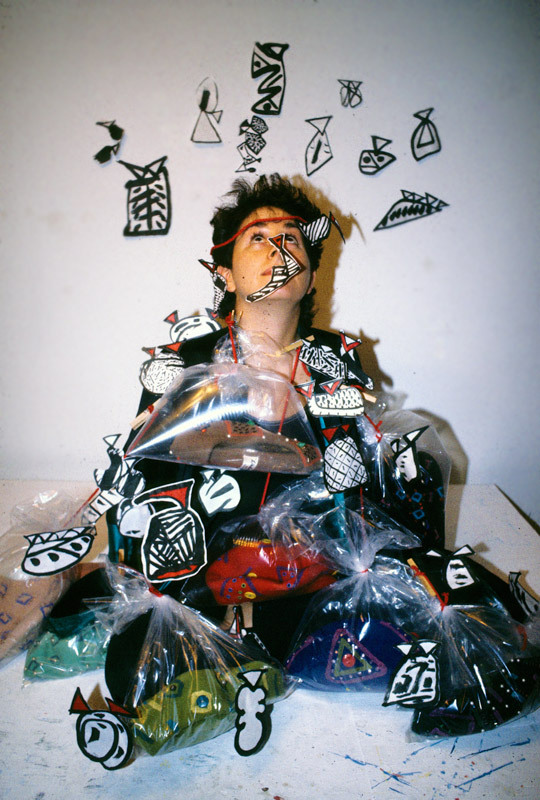 Exhibition flyer for "Self-Portrait" at Kwok Gallery, New York City, from Feb 8-Mar 8, 1982. 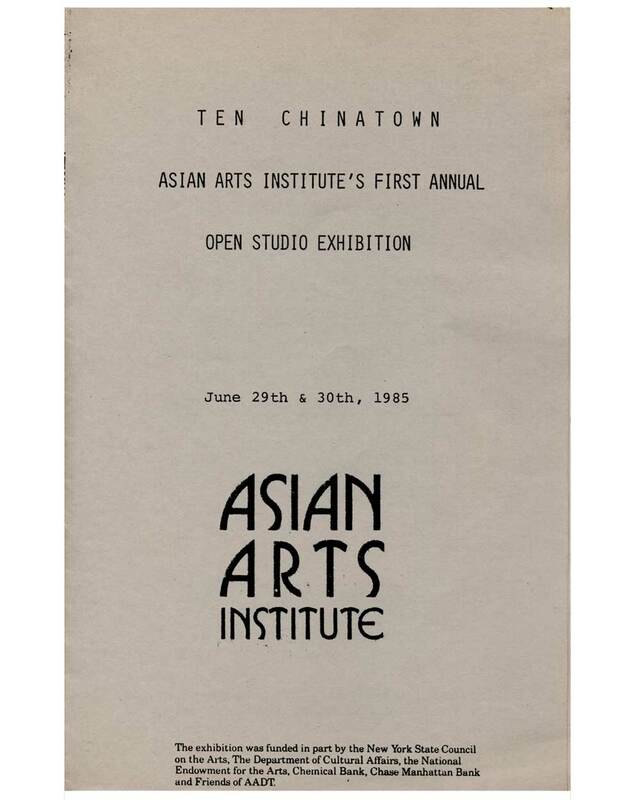 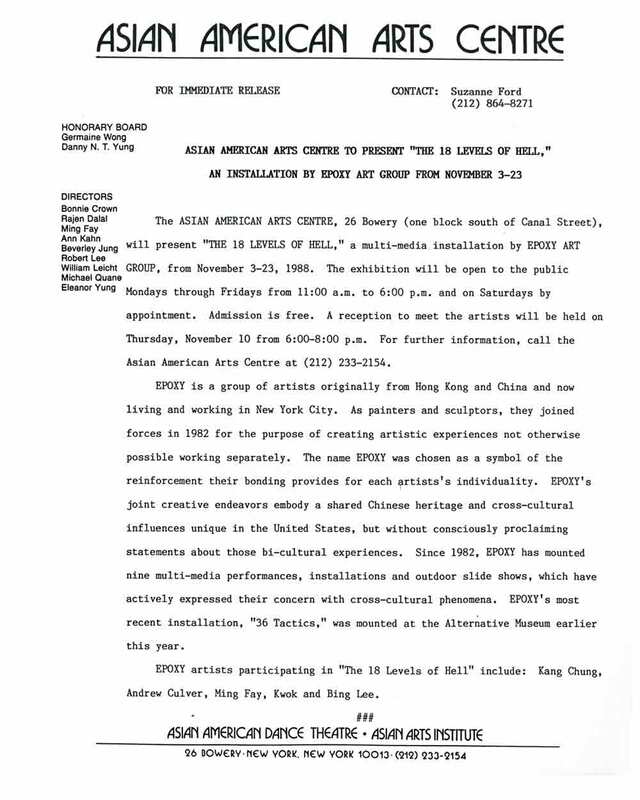 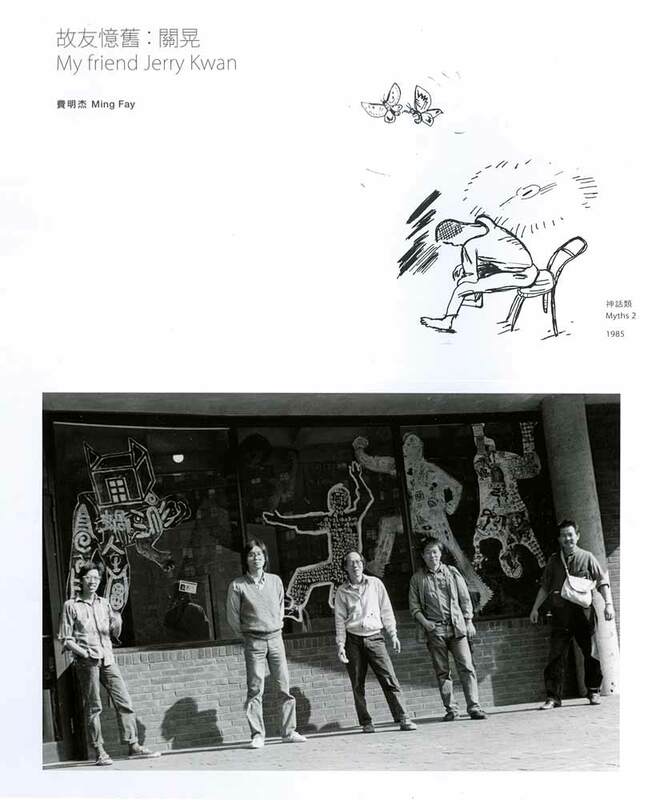 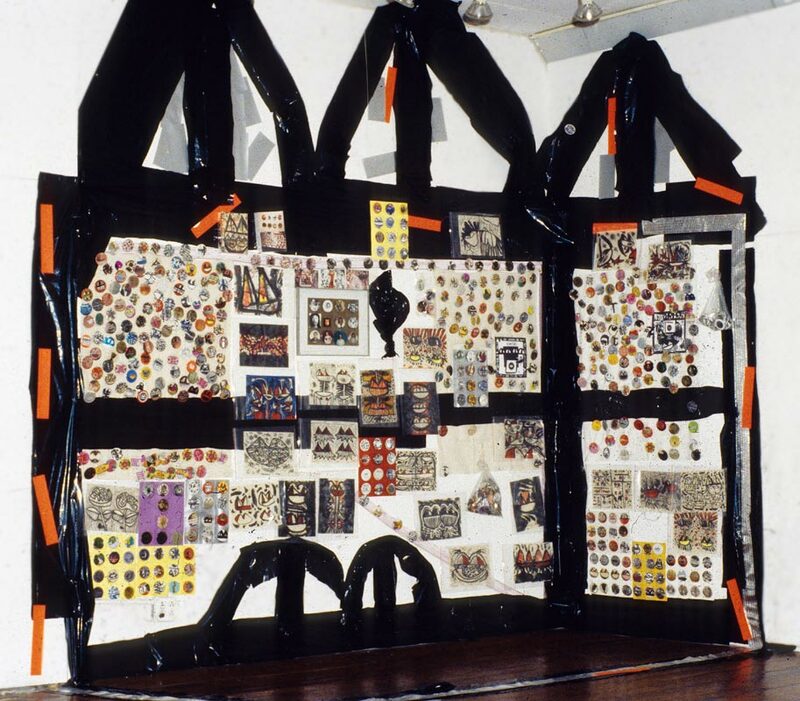 Exhibition press release for "The 18 Levels of Hell" at Asian American Arts Centre, New York City, from Nov 3-23, 1988, with artists Kang Chung, Andrew Culver, Kwok Mang Ho, Bing Lee, and Ming Fay. 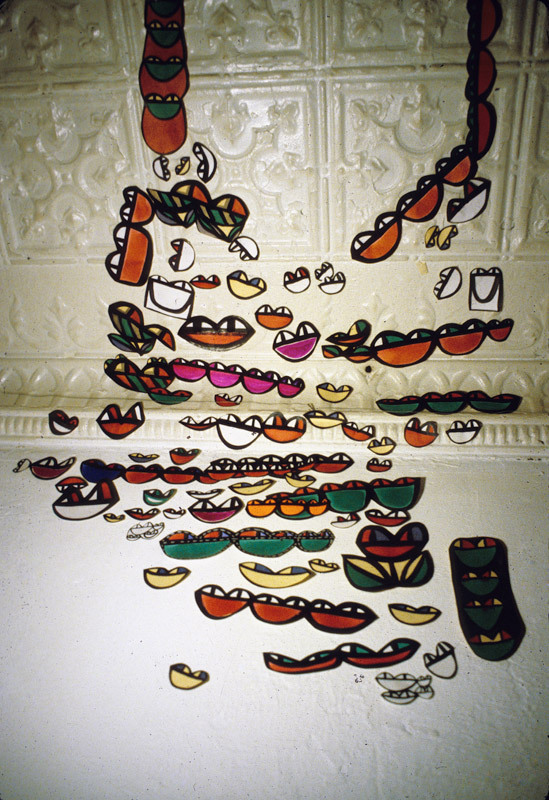 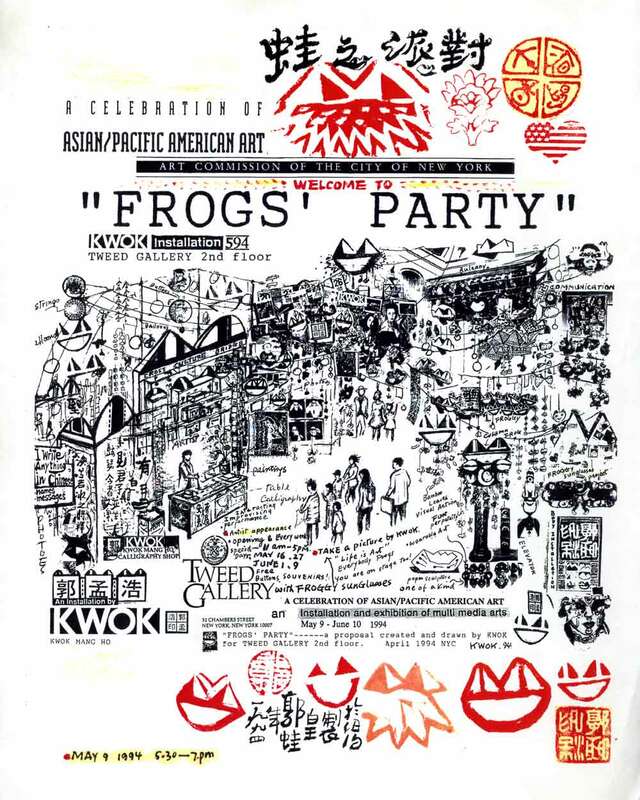 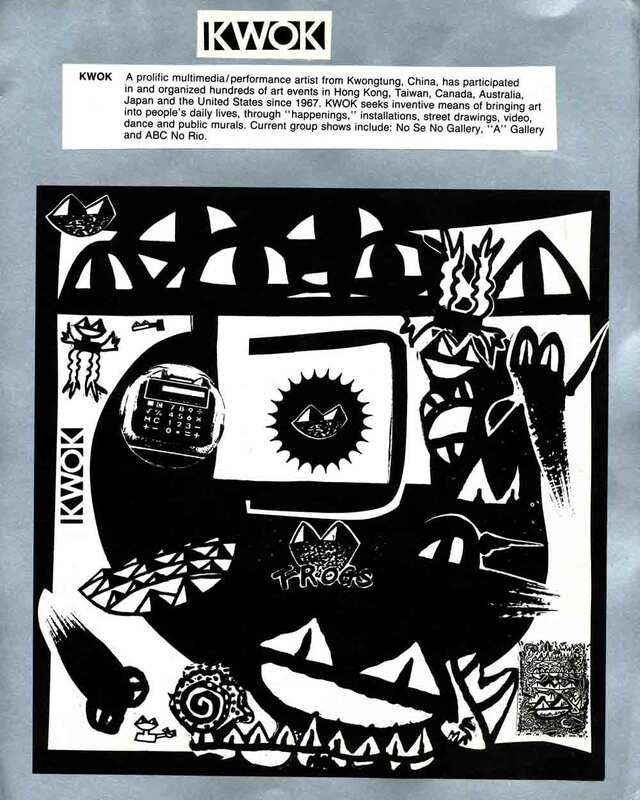 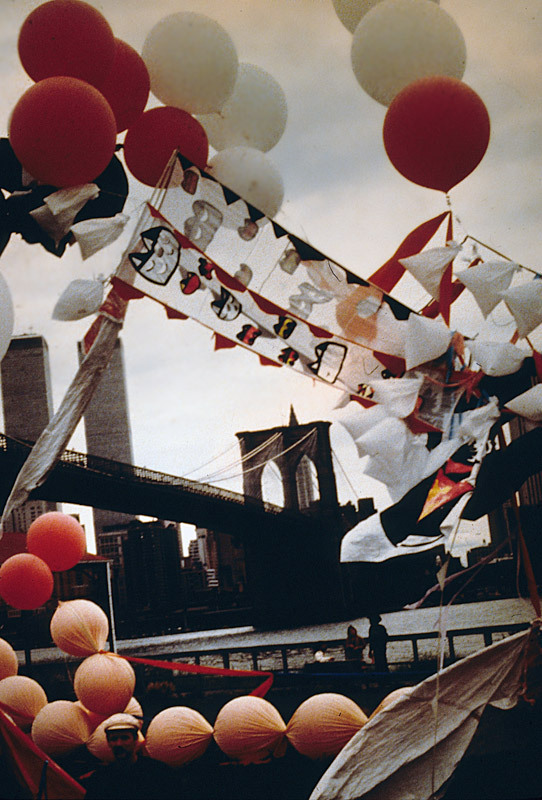 Exhibition flyer for "Frog's Party" at Tweed Gallery, New York City, from May 9-June 10, 1994. 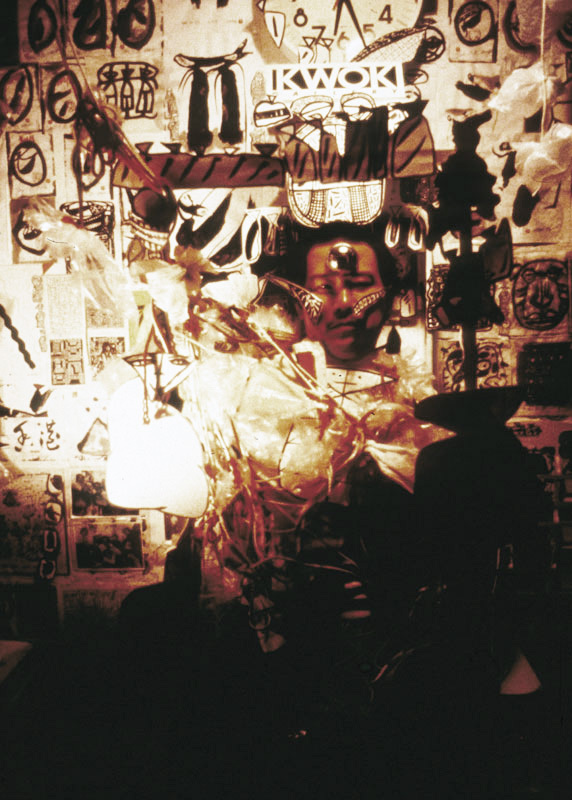 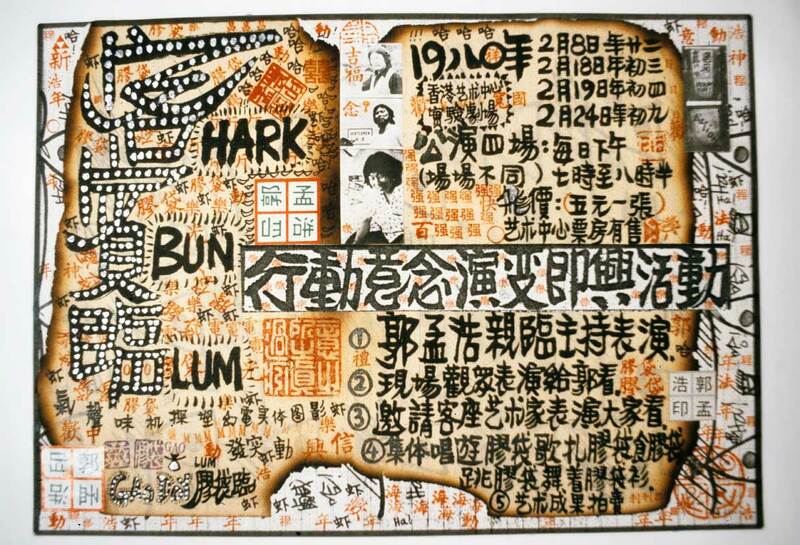 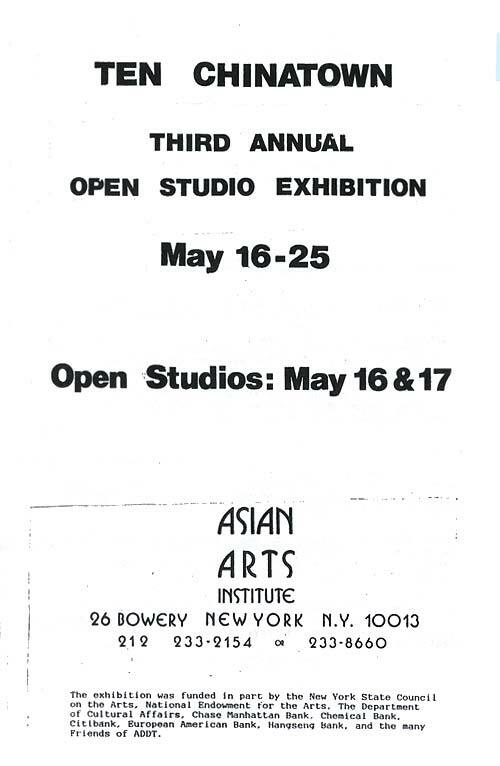 Exhibition flyer for "The 18 Levels of Hell: An Installation by Epoxy Art Group" at Asian American Arts Centre, New York City, from Nov. 3-23, 1988, with artists Kang Chung, Andrew Culver, Ming Fay, Kwok, Bing Lee. 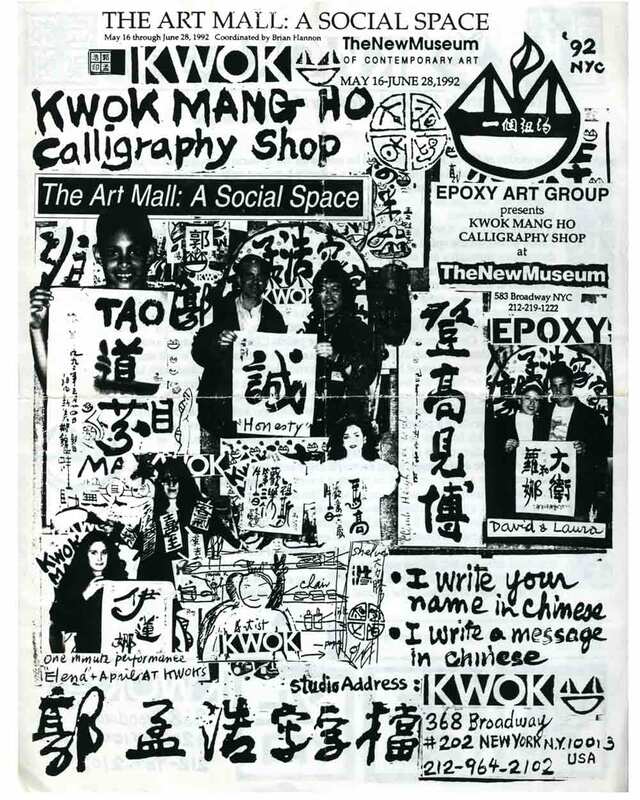 Flyer for Art Happening "Calligraphy Shop", part of "The Art Mall: A Social Space" at The New Museum, New York City, from May 16-June 28, 1992.